Tesla developed an electric car and paid back a nearly half billion dollar loan nine years early. Now the government is reviving the controversial automotive loan program that helped Tesla -- with $15 billion still available to kick-start the development of electric and other alternative powered vehicles. The program was effectively put on hold two years ago following several problems and the halt in funding was blamed for the failure of several potentially promising recipients – while critics blamed poor oversight for the loss of money loaned to several other start-ups. The Advanced Technology Manufacturing loan program has about 60 percent of its funding remaining and is open after making no loans since 2011, said Aoife McCarthy, a spokeswoman for the Department of Energy, which administers the program created in 2008 by President George W. Bush’s administration. “With no sunset date and more than $15 billion in remaining authority, the program plans to conduct an active outreach campaign to educate industry associations and potential applicants about the substantial remaining funds available and the application process in general,” McCarthy told NBNews.com on Wednesday. Earlier this week, new Energy Secretary Ernest Moniz told the Detroit News: "We are actively looking at what might be an effective new (request for funding).” He took over the department from Steven Chu who put the program on hold during the second half of President Obama’s first term. The ATVM project came under intense criticism from Republicans, notably including 2012 presidential candidate Mitt Romney, who referred to the companies that had been funded as “losers." Indeed, there have been a few, including Vehicle Production Group which defaulted on a $50 million loan in June, and Fisker Automotive, the California-based plug-in hybrid maker that is not expected to pay back most of the $193 million it received from the loan program. The Energy Dept. originally approved $529 million for Fisker before pulling the remaining loan when the automaker missed critical targets. And that triggered a decision to put other loans on hold, including one for another California venture, Next Auto, which wound up closing down when it couldn’t get funding. Several other promising projects also faltered without access to the low-interest government loans. And major automakers, including Chrysler and General Motors, eventually withdrew their own applications. There have been a number of successes, as well, and proponents of the ATVM program point out that even the best venture capital firms routinely succeed with only a handful of the projects they back. A total of $15 billion is still set aside and there is no official end date the administration has to meet. 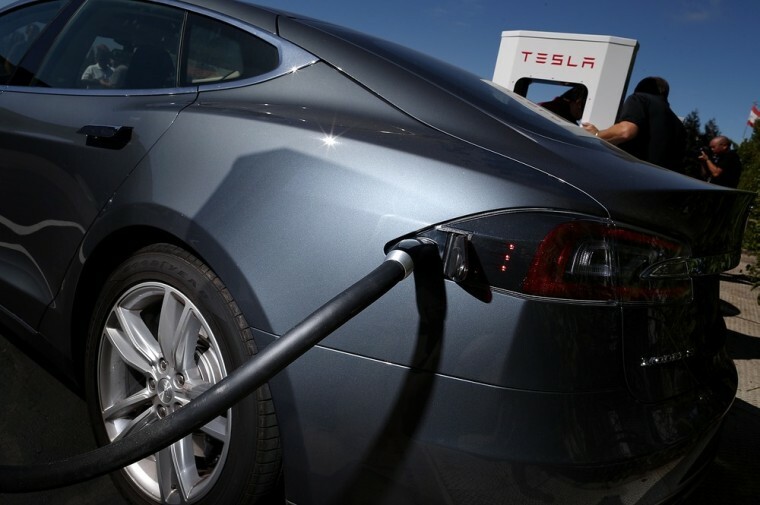 But proponents point to the need to rush new technologies to market to meet upcoming increases in fuel economy standards – and they point to California start-up Tesla Motors as a successful example of what the ATVM program was meant to achieve. Tesla developed a luxury electric car and expects to sell more than 20,000 Model S sedans this year at prices that now start above $70,000. Tesla recently used proceeds from a new stock offering to pay off its $465 million start-up loan nine years ahead of schedule. The company is now valued by investors at roughly $20 billion, or more than Fiat/Chrysler and PSA Peugeot Citroen combined. Other successful loans have included $5.9 billion to Ford, which has launched an array of battery-based vehicles. Nissan, which markets the Leaf battery-car, also received $1.4 billion in loans. The Energy Department initially received around 100 applications. But all remaining bids for funding have either been rejected or withdrawn. It remains to be seen how long it will take to fire the program back up – and who will be the next to apply.